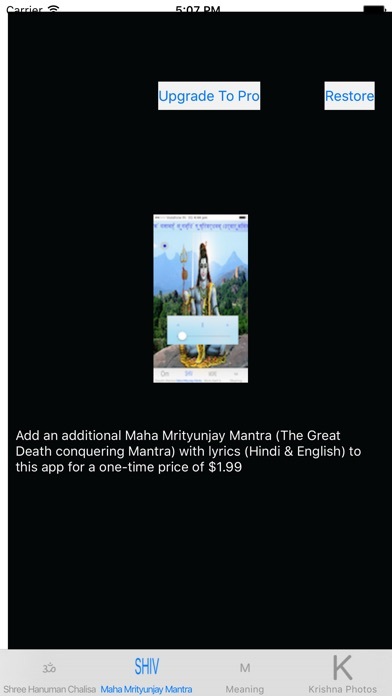 You can listen to Shree Hanuman Chalisa with this app. Shree Hanuman, a devotee of Shree Ram, is one of the most important characters in the epic Ramayan. It is believed there is no-one as mighty as Shree Hanuman. He is thought to be the avatar of Lord Shiva. Lord Shiva came upon this earth as Shree Hanuman so that He could fulfill this devotion to Shree Ram ( avatar of Lord Vishnu). 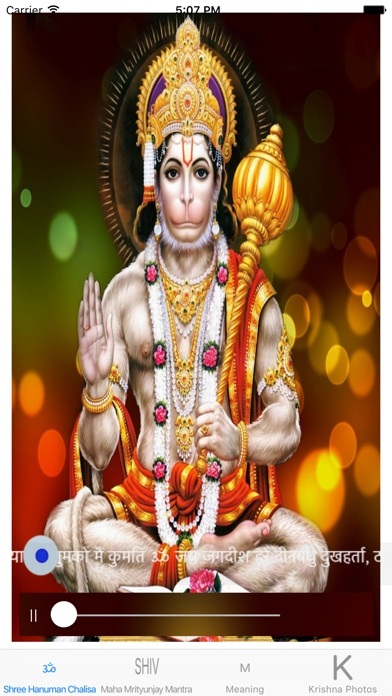 Shree Hanuman is known to fulfill all the wishes of his devotees. Start your day at work by listening to the Shree Hanuman Chalisa and you will notice immense energy that will last throughout the day. - Force Touch introduced for iPhone 6S, 6S Plus users. Now, Force Touch on the main photo to see full photo. Jai Bajarang Bali Ki Jai. Jai Shree Ram. 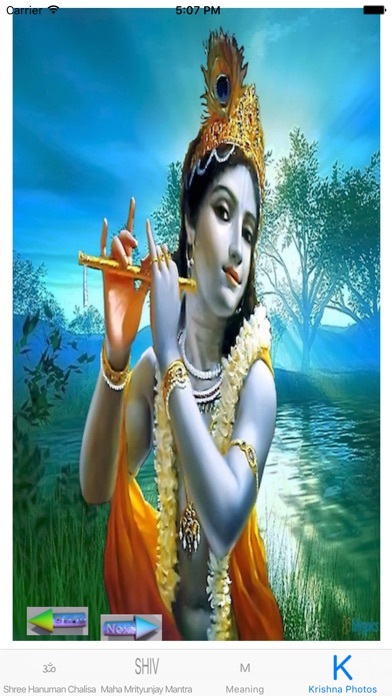 Jai Shree Krishna. Om Namoh Bhagwate Vasudevaya. Jai Shree Ganesh.